This product is extremely unstable. I could not work with a roadmap from template for more than a couple of minutes before it would crash. I restarted the app 5 times and tried to push through but finally gave up. Uninstalling. There is no way to use the application without creating an account with the developer. There is no reason for that requirement unless I choose to use cloud synchronization. The developer responded below that creating an account is free, but the point is that the app is not usable without creating that account. This is totally unnecessary and unwelcome. This app has everything I need to build my strategy, simply modify it when required, and what is more important, easily share my vision with other people involved in a project. Previously tried a lot of different tools and chose Roadmap Planner because it's not overwhelmed with stuff I don't need. 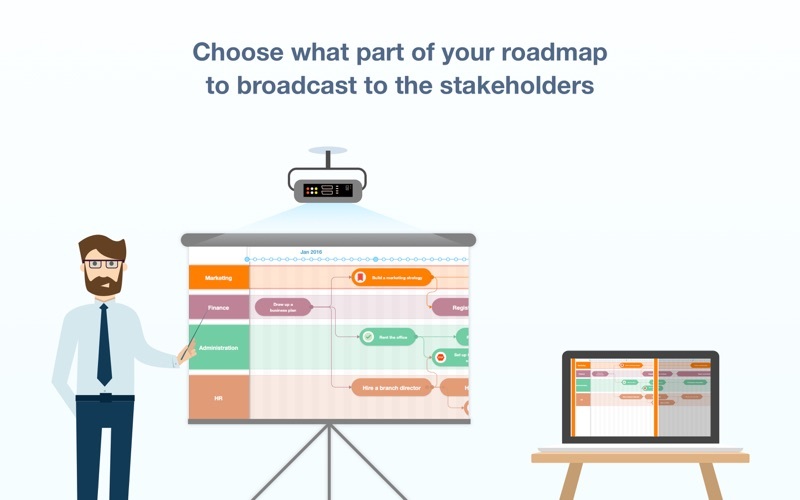 Great tool for a high -level strategic planning. Like the design and simplicity of use. Looking forward to Windows version release. 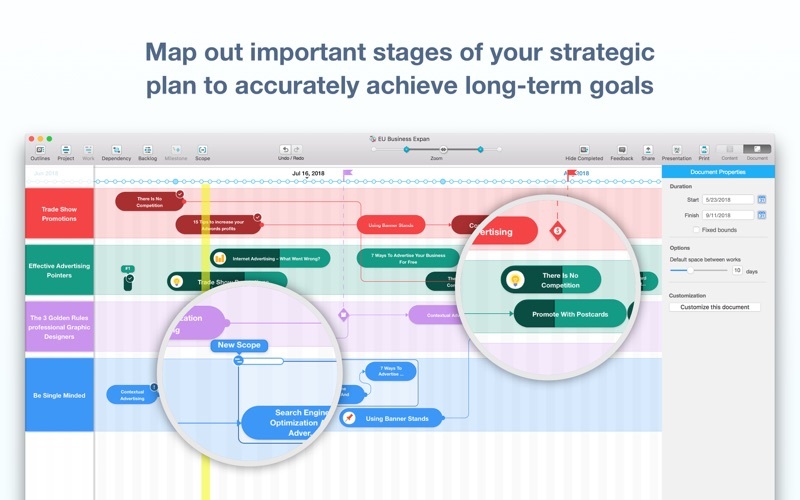 Unlike the competitors with their web-based solutions, Roadmap Planner, with its offline mode, allows me to work on my strategic planning when there is no internet connection, for instance in a plane. It's the biggest advantage for me, as a business person who travels a lot. This product is easy to use and quite intuitive. Last update made GUI very clean and solid. To make it a superstar it needs to allow for adding links either in the note text or somewhere else. 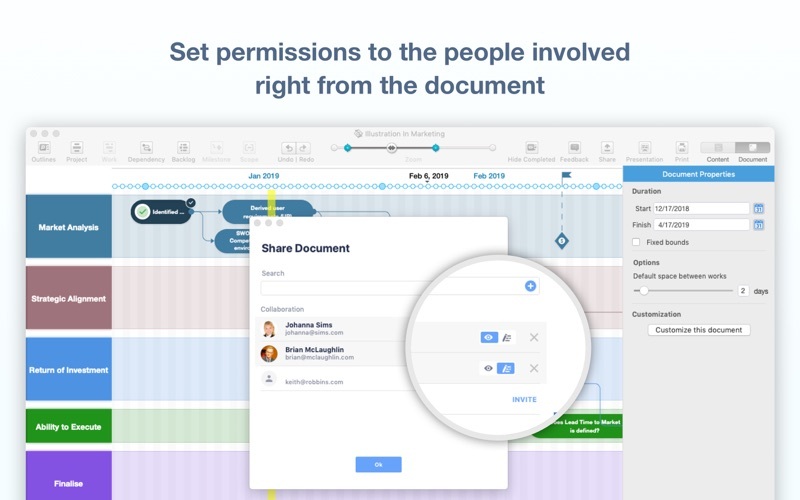 We usually add a hyperlink to google docs on each project task. Another bigger problem I understand the compay is working on it is to have a PC or browser based version. 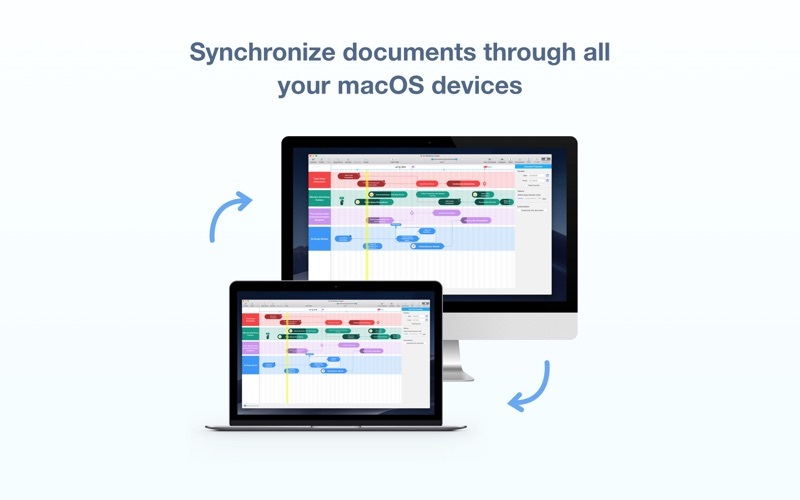 We could not standardize on this product because some of our team are not MAC users. A browser based version would have been OK but with no option left for the PC users we had to choose another platform. I liked it enough to continue using on my own but cant really transfer my content. The product needs to export to XML and OML. Excellent starting point and a reminder that MAC is no island. 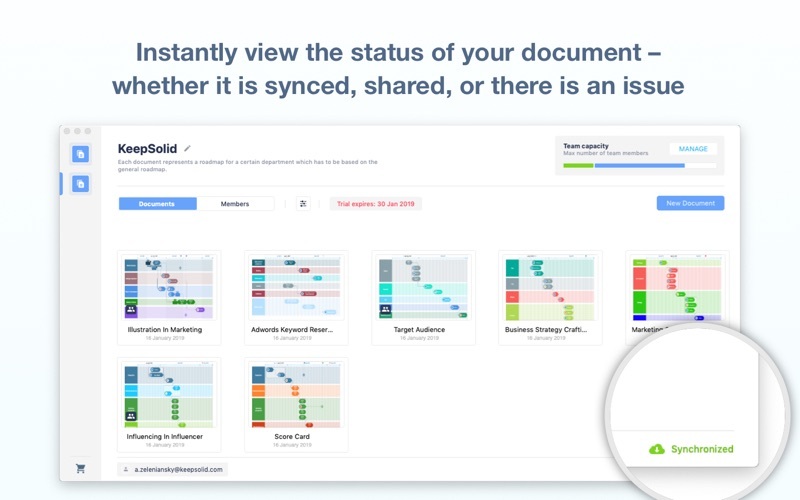 We still need platform interoperability for a collaborative tool like this. I can’t even try out Roadmap Planner without creating a KeepSolid ID. Worthless.